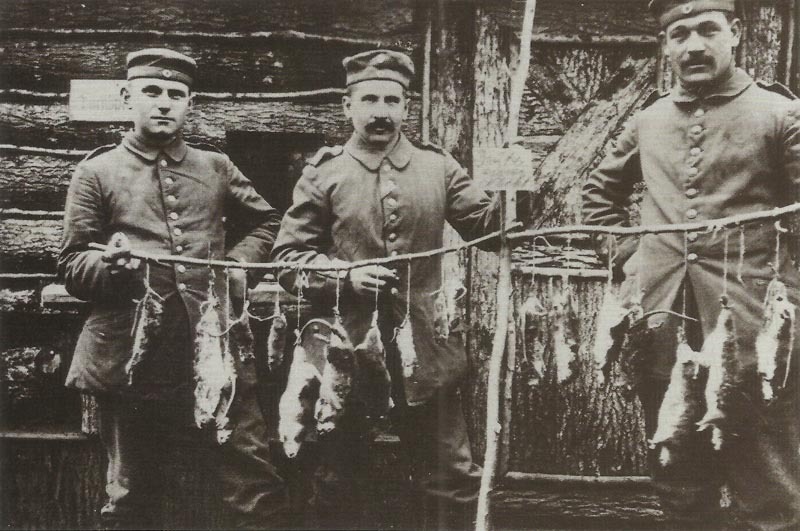 Trench systems everywhere were plagued by rats and hunting then down was a task performed on a regular basis by all sides. Flanders: Allies take Great Dune. Artois: German attack at Bellacourt. Argonne: ­French 58mm trench mortar first fired in action. Wassmuss, ‘German Lawrence of Arabia’, leaves Baghdad for Southern Persia, but Turks stop 3 other Germans. Britain: Lloyd George proposes to British War Council that Allied army be sent to Salonika to lead Balkan powers against Austria. Fisher resigns over Prime Ministers Dardanelles attack order, but Kitchener and Churchill dissuade him. He agreed any troops should be sent to Serbia via Salonika. South Atlantic: US vessel William P Frye (wheat for Britain) sunk by German Armed Merchant ship Prinz Eitel Friedrich. Black Sea: Russian torpedo boats shell Trebizond and Rize. USA: US Coast Guard founded (grows to 8,835 men during hostilities with 48 vessels).